7) TESOL Training in Chiang Mai. 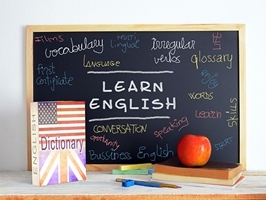 Are you teaching English as a platform for ministry? Now you can get training that will help you do an excellent job. Asean Center for TESOL offers an intensive, five-week certificate course in Chiang Mai, Thailand, including 10 hours practice teaching to non-native speakers. April 1 – May 3, and July 1 – August 3 are the next two course dates. Learn more at…. 12) What’s the Best Online TESL Course? He said the cost was the most reasonable for the instruction he received. You can get a 40-hour basic certificate for $260, or a 60-hour Educator certificate for $340. Of course, their 140-hour course (IDELT Online) is $997.50. Are these fairly competitive with courses you’ve taken? (or courses your institute offers?) Please click “Comment” after the web version of this item to help us find the best value for the best price. Thanks in advance for your help. Thanks also to Cornerstone for partnering with Brigada — to undergird the sending out of thousands of Brigadas all over the globe! We appreciate you!